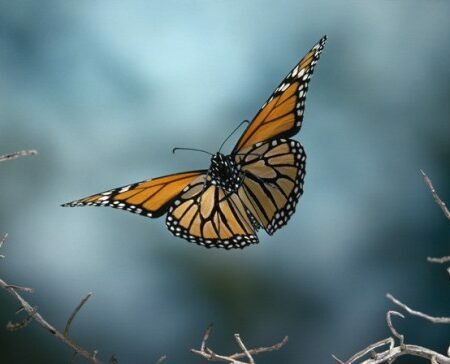 I am writing for permission to use one of your monarch butterfly photographs on my son’s memorial website. I lost my son in May 2007 and since that time I have been building the website. The content continues to grow, but now I need to begin making it look nicer. On the day of my son’s funeral service, as I went to get the car, a monarch butterfly flew around me and when I put my hand out the butterfly landed on it. I was 52 years old at the time and I have never had one land on me. I’m not a religious or superstitious man, but I really do believe that the butterfly somehow represented my son Paul and was a message to tell me that he was now ok. After about 30 seconds the butterfly flew away – I watched until it was out of sight. I’m not sure exactly what the site will look like yet, but likely I’ll use the butterfly in a header on all of the pages. As I searched Google, all of the best butterfly photographs that I saw were yours. Please let me know if this will be acceptable. In May 2010, our friends Jan and Karen Wentz gave us this wonderful bowl. Now the Monarch is beautifully displayed in our home every day. Mr. Stephen Dalton has most graciously allowed us to use his lovely and amazing Monarch butterfly photograph for the site. His website contains many more magical photographs.